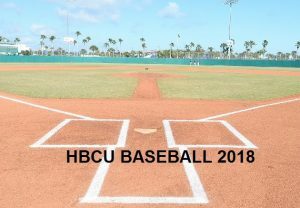 Black College Nines continues its annual overview of HBCU baseball filing this pre-season report on NCAA Division II and III teams and well as those in the NAIA and the United States Collegiate Athletic Association. Selwyn Young begins his ninth season as head baseball coach for the Benedict Tigers. He won his 200th game in 2017, leading the Tigers to second place in the SIAC East Division and had an overall record of 25-16. Benedict advanced to the SIAC conference tournament for the ninth year in a row. Offensively, Benedict returns the big four who contributed to the Tigers leading the SIAC in team batting average, earned run average, home runs, stolen bases and scoring last season. Seniors include Davis White, Jr., (Black College Nines HBCU Baseball Player of The Year), Armando Valentin, Darian Williams, and Andrew Mcoy, who led the nation in triples per game last season. Benedict was crowned the NCAA national scoring champion, averaging 9.8 runs per game. On the hill, juniors Ricardo Pagan and Mark Pitts will log some innings with a strong crop of freshmen in the rotation. Big Blue baseball returns 16 players for the 2018 season, including five senior right-handed pitchers in Tanner Muovich, Addison Meeks, Bo Williams, Romero Cartwright, and Tanner Hill. In addition, Brandon Chandler (Soph. RHP), Will Kapke (Soph. RHP), and Brandon Wortkoetter (Soph. RHP) also return. Five starters plus Billy O’Hara (C), Peyton Durham (1B), Drew D’Angelo (SS), Cole Blocker (3B), and Logan Wriston (LF), returning will highlight a lineup that should be improved both offensively and defensively. Returnees who saw significant playing time in 2017 are Kevon Moxey (C), Carson Thigpen (C, OF), and Jordan Wilson (OF). This year, they will compete for even more playing time. A strong recruiting class for 2018 consists of 18 players made up of freshmen and junior college transfers. The group includes four transfers in Kenrick Mendez (RHP), Luis Ojeda-Morales (MIF), Tanner Ray (OF/IF), and Hunter Hill (IF), as well freshmen, Shane Bianco (OF), Tanner Brandon (OF, RHP), Brett Green (RHP, OF), J.R. McRee (C), Tyler Mullens (IF), Shane Presley (C), and Daniel Rayfield (RHP). Bluefield State looks to improve and make a second straight trip to the United States Collegiate Athletic Association national tournament in May. 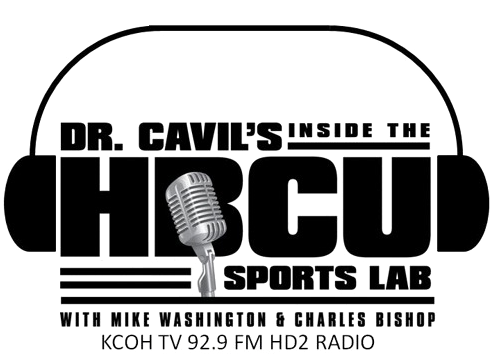 Claflin University will look to be very competitive during the 2018 season. With a mix of old and new, the Panthers are poised to be solid across the field. The Panthers have added some very strong pitchers to its already solid pitching staff, which should hold teams to minimal runs. The one weakness that has the potential to plague Claflin is the loss of two four-year starters in the infield. The Panthers lost its starting shortstop and starting catcher from a year ago. An inexperienced infield could cause problems early-on but with some tough non-conference games, that problem should be remedied by conference play. The top individual returnees for the Panthers are infielder Jonathan Parnell II, an All-SIAC first team performer and outfielders Darrell Langston, an All-SIAC second team performer and Elliott Melton. The Panthers also return the 2017 SIAC Relief Pitcher of the Year in Elijah Mckinnis. Several transfers and newcomers who should make an immediate impact on the team dynamic are infielders Timothy Fowler, Hector Rodriquez, Tavian Towers, Eric McElveen,and Cleveland Westbrook. Tough nonconference schedule shouls aid Claflin’s run at the SIAC Championship. CAU baseball returns the nucleus of its 2017 squad which set a single season record for most wins in a season. The Panthers lost only three seniors and 2015 Utility Player of the Year Joseph Holmes, who had a year of eligibility remaining but graduated early. With an experienced team, the Panthers look to qualify for the SIAC tournament after missing the championships the last two seasons. Strengths of the 2018 team will be experience, hitting, starting pitching and utilizing their speed. The Panthers will have to overcome lack of depth on the pitching staff. Top returning position players include All-SIAC outfielder Raphael Andrades, who hit .382 with seven homeruns last year and outfielder Jason Howell, who hit .371 with 11 doubles. The top returning pitcher are Jordan Johnson and Anthony Nettles, who led the SIAC in strikeouts. Each will need to be huge for the Panthers this season. Concordia College of Alabama enters the United States Collegiate Athletic Association in 2018 season with big shoes to fill resulting from the departure of Catcher Travis Jean, Kiefer Kilcrease and leading hitters William Harris and Kelvin George. Concordia will be a young, scrappy bunch led by junior outfielder Mason Miller, who was second on the team last year with a .385 batting average with 10 stolen bases and .487 on base percentage and sophomore Johnathan McKnight, who batted .327 with eight home runs and a .645 slugging percentage last season. Help should come from sophomores Josh Thompson (OF), Bryant Keel (1B), and Kelvin Gullatte(SS) in the lineup adding experience and also with freshman Jackson Hughes adding some pop in the middle of the lineup. The pitching staff will be led by Johnathan Allen, who gained valuable experience last year as a freshman. Incoming freshmen Brady Wideman, Caleb Barrgaryee, De’Andre Mitchell, Fernando Smith and Zion Giles are expected to be big contributors this season on the mound. The team is young, but has depth at every position. They will be breaking in two new catchers in Russel Caastleberry and Logan Bostic who are both solid freshmen. The 2018 Edward Waters College Tigers are returning 19 players from last season. Out of those 19 returners, five are starting position players and two more are starting pitchers. The team will be led by four-year starter Jordan Pontious at shortstop and three-year starter Bryan Rodriguez in centerfield on both the offensive and defensive side of the ball. The pitching staff will be led by junior RHP Johnathan Radomski and sophomore RHP Julio Flores. Last year, the Tigers finished with a 35-24 record and graduated three position players and four pitchers and were one win away from reaching the NAIA National Tournament. Coach Johnson is very excited about his freshman class which is led by Keilin Washington from Jacksonville Florida. Washington will fill the role of a starting outfielder with speed and great baseball awareness. His skills will allow him to step in and contribute right away. Two other freshmen who look to play a huge role are both right handed pitchers from the Jacksonville area, Hunter Morris and Cody Melton. Both pitchers are coming in with big game experience which should allow them to perform on the college level with great ability. FMU should be a better team overall. Hopefully with the influx of new players and talent, they can be a more competitive team in the conference. Offense, defense and pitching should be improved from last year. The goal is to continue improving depth, skill level and baseball IQ. Returnees include C Jose Chavez, 1B Devin Hadley, 2B Chris Suarez, 3B Alex Gomez, SS Fabian Ortega, LF DJ Brown, CF Kyle Parks, RF Raymond Guerrero, and DH Charles McGinnis. The starting rotation of Edgar Aparcio, Devin Hadley and Chris Suarez will pay dividends. New coach Michael Hearn II replaced Alvin Moore, who had one of the longest tenure in HBCU Baseball. Hearn has the program working hard to build the right infrastructure to support the success of the team. The Rams return three position players who hit over .300 last year in Hunter Kunc, Ajani Dowdy, and Guweshaughn Richards. Each are being counted on to help build a strong foundation. H-T is coming off a powerful season where they batted over .300 as a team. Defense will be priority to close the identified gaps from the prior year where a lot of close games were lost. Two freshmen will be starting in the middle infield. In addition, the Rams have some new arms who will strengthen the bullpen along with returning pitchers. Returning seniors will help provide some leadership to a team that strives to be above .500 this season and compete in the RRAC conference tournament. Jarvis Christian returns first team all-conference starting pitcher, Joseph Lyall “ to anchor its mound staff. Lyall went 10-4 in the 2017 season logging 100 innings with 113 K’s. Jarvis also returns a couple of top arms out of the pen in Tyler Arnsberg and Noel Sanchez and added a some big arms who look to be an instrumental part of the staff this year in Wyatt Jones (Mountain View C.C. ), Phillip Jones (Alvin C.C.) and freshman Ismael Lopez (Econmedes HS). JCC returns a few key postion players in senior Spencer Thomas (.335, 2 HR, 35 RBIs) and sophomore shortstop Tyler Ruiz (.323, 2 2B). Defensively, this may be as good of a group that they have had. Much improved in the infield, lots of team speed in the outfield and have possibly 3-4 team members capable of being “gold glove” caliber players. Kentucky State University is looking to build off of their third place finish in the 2017 SIAC Tournament. The Thorobreds return the majority of its starting lineup, with a few impact newcomers expected to immediately contribute. Graduate Elijah Collins (.284 BA, 33 stolen bases, 54 runs) returns in centerfield as the Breds’ leadoff hitter. Senior Justin Stinson (SS, 2nd Team All-SIAC, .323 BA, 13 2b), Brandon Story (3b, 2nd Team All-SIAC, .330 BA, 70 hits, 16 2b, 48 RBI), senior Greg Alexander (C, .325 BA, 18 2b, 44 RBI), junior Cameron Starks (LF, 1st Team All-SIAC, .356, 63 hits, 12 doubles), junior Jay Poullard (RF, .307 BA, 13 2b, 45 RBI), sophomore Artie Santomo (Utility, .309 BA, 3 HR, 28 RBI) and junior Russell Sims (2b, .283 BA) all return from the Breds’ 2017 starting lineup. Joining the Thorbreds’ 2018 lineup will be junior Darian Dull (1b – injured in 2017, .354 BA, 6 HR, 27 RBI in 2016) and Cleveland State CC (TN) transfer Jordan Ransom (OF, .348 BA, 9 2b) are expected to start for the Breds. Freshmen Dominick Lawson and Boo Thompson will also provide depth in the lineup this spring. The Breds lost NCAA complete games leader Josh Dunn to graduation, but return Junior Joe Crisp (4-2) and seniors Chae Butler and Eric Andersen, along with Justin Stinson and Russell Sims, who will also see time on the mound. Incoming Cleveland State CC left-hander Elijah Haynie (0-1, 4.60 ERA, 15.2 IP/13 K), as well as junior Jordan Ransom and freshman Dominick Lawson will also see significant innings this spring. The Thorobreds are hoping to ride a deep, experienced offense and improved pitching staff and defense to a compete for the 2018 SIAC Championship. Kentucky State opens its 2018 season in a non-conference weekend series at Clark Atlanta on February 17-18. In 2017, the Lane College Dragons made great strides in changing the culture of its baseball program. Improvements where made with key victories over Tuskegee, Claflin and losing on a walk off to Kentucky State. Entering in his first full season as head coach, John D. Bates will start the 2018 with an edge. The 2017 season had 14 freshmen on a 20 man roster and one senior. With seven freshmen in the starting lineup most of the year, according to Bates, “we had to make adjustments during the course of the season by winning 8 of the last 16 games in April. This helped built a solid foundation going into the 2018 season. We had the most wins in one season with 9 since the 1986 team had 10 victories.” The previous five seasons, Lane College had won a total of 8 wins. Last season, hitting was the team’s strength as it had a team batting average of .264, a 21 point increase from the previous season. Sophomore Treviz Brown was a major contributor batting .282, with an on base percentage of .416 and led the team with three triples. The pitching staff made improvements by lowering the team ERA from 13.36 in 2016 to 10.04 in 2017. Lane’s weakness is fielding. There has been big improvement since fall ball. The team has been working hard to improve that category. Look for big things from JUCO transfer Derrick McGowan from Clark State Community College. The LeMoyne Owen College program is coming off an historical year, advancing to the 2017 SIAC championship for the first time in school history in Coach Marcus Smith’s second season with the program . Year three strengths this season should be speed, defense, more depth, along with stronger hitting and more versatility. The bench will also be stronger. Pitching has been upgraded with transfers Craig Sullivan from South Ga State College, Domonique Francis from Concordia College of Selma and Shaquille Bryan from CCBC Dundalk Community College in Maryland. Incoming freshmen who will make an impact are David Nicholas from the Virgin Islands, who will provide a spark at the top of the line up and Gabriel Brown from Augusta Ga, adding more depth in outfield. Le Moyne Owen will have six players from the Virgin Islands on the roster this year who will be very instrumental to the growth of the program. One is Kaleeq Brannigan, a middle infield transfer from State College of Florida (one of the stronger junior colleges in the country), will make an impact. The last transfer, from Savannah State, catcher/third baseman Myles Broughton will provide depth. Returnees include Southern Intercolligant Athletic Conference (SIAC) impact players Deanthony Baker, Santoine Key, John Johnson, Emari Mills, Taj Thompson, Caleem Serrant , Chris Conard and Tyrone Gaston. The Magicians have a young team with only four seniors on the roster. Head Coach Anthony Plá begins his 10th season at the helm for the Lions. Fifteen players return from last year and 16 newcomers have been added to the program. With some coming back who have had extensive game experience and with new players coming in with some great skills, the Lions are looking for a great start to their 2018 baseball season. Returning players are Rolando Alvarez, Julian Bradshaw, Marcos Castillo, Marquis Coleman, Christian Gil, Aidan Gomes, Luis Nieves, Dominic Rheubottom, Joshua Roberson, and Orlando Roberson. Redshirt additions are Kashif Hill, Rudy Rabb, Malcolm Smith, and Jordan Whisler. Incoming players for this year are Jason Aldred, Jalil Banks, Anthony Bludson, Terrence Chambers, William Givens, Zaire Hariston, Willie Hines, Jeremiah Hoskins, Grant Lindsey, RJ Liverpool, Pedro Martinez, Bradley Regalado, Jordan Rorer, Trevon Sutton, and CarVonte Williams. According to Head Coach Kerby Marshall, Paine baseball will be very young this season. “We have only five returners and 17 freshmen on the roster. Those returning who will carry the team are All-SIAC players Evan Krenz ( 95IP, 78K, 10CG), and Gabriel Guzman (.405 BA, .622 SLG Pct, 7 doubles, 8 triples, 3HR’s). Paine will work very hard to be a competitive team in the conference. Freshmen to keep an eye on are Anthony Lopez, Latek McNeil, Emmanuel Wilson and Anthony Ellis. The core of top returners includes Ricky Butts who is returning for his junior year at shortstop. Butts hit .414 with 5 triples and 2 HR and earned NCCAA All-Regional honors. He’s currently on several MLB watch lists. Brandon Woodland, Marcus Hardy, and Daryl Watkins return for their senior seasons. Watkins was one of the top hitters last season hitting over .350. Brian Davison, who is also returning, was the Bulldogs offensive player of the year last season. Trey Clark is the ace of the pitching staff, returning for his sophomore season. Clark is a hard worker with excellent stuff. Jonathan Grimmett is returning for his senior season on the mound. Grimmett will be very valuable out of the bullpen for Selma. Top freshman home grown recruit, DJ Stiles is a hard-throwing pitcher from Selma Alabama. Stiles’ fastball touches high 80s-90 mph and should get lots of innings this year. Talladega College has 20 players returning from last season’s NAIA tournament team. The Tornados top returnees include Emilio Martinez, 1B, Association of Independent Institutions (A.I.I.) Newcomer of the Year, Wilkin Louis OF, A.I.I. Freshman of the Year, Bryan Marquez RHP A.I.I. Second Team, Manuel Caballero A.I.I. Gold Glove Team, and right handed pitcher, Daniel Castillo. Jorge Rodriguez, who will be the regular shortstop at Talladega, had a really good year as a freshman batting average .314. Junior college transfers include outfielder Julian Lopez, a transfer from Labette Junior College where he hit .380 with 14 homeruns, Bryan Garcia, a right handed pitcher from Southwest TCC, and Alexis Ventura, a shortstop transfer from Ranger College who is a good hitter, but excells on defense. Tough nonconference schedule. That’s the way they like it. The Golden Tigers are returning seven starters from 2017 including INF Gabriel Selochan, INF Dominic Johnson, OF Trey Williams, Utility/INF Jalen Luter, C Matthew Reed, OF Ryan Green RHP Nytorious Cooler, and OF Keldric Burton. All can be counted upon to improve last season’s record of 23-27. Tuskegee has a quality pitching staff in RHP Christian Marshall, RHP Darien Brown, RHP Trey Nelson and RHP Nytorious Cooler. Top newcomers include Devon Shaw, Corey Stallings, and Ryan Martin. All will help compete for a win each game. After finishing the 2017 season with a .500 record (20-20), the Tigers will be faced with the challenge of once again rebuilding the program. Each of the three previous seasons Voorhees College has made progress in the win column with increased totals of 10 in 2015, 14 in 2016, and 20 in 2017. With the lack of depth on this year’s roster, this theme may be in jeopardy. The Tigers will relying heavily on a group of seniors with plenty of experience. Pitcher Angel Guerrero (5.29 ERA, 51 IP), pitcher Carlos Perez (3.19 ERA, 59 IP), infielder Justin Watts (.325 BA), infielder/pitcher Jacob Cooley (.364 BA) and outfielder Rodney Goldsmith (.397 BA) will have to apply senior leadership on and off the field for the Tigers this spring. Also returning to the starting line-up is junior outfielder/pitcher Ethan Lauritzen (.419 BA), sophomore catcher Jameaze McNeal (.321 BA) and Black College Nines’ 2017 HBCU Small School Division Freshman of the Year, sophomore infielder/pitcher Darrius England (.486 BA). Two new additions to the program who are making a strong case to break into the starting line-up are freshman outfielder Calvin Coach and redshirt freshman infielder/pitcher Cramonta Snell. The Yellowjackets finished 21-26 last season, but endured five season-ending injuries within the first month of the season. This caused them to start four freshmen on an everyday basis. However, by the end of the season all four had improved and settled into being good college players. The best part of that is they are now sophomores and are stronger having gained valuable experience. Wiley College’s strength is its bullpen. It has some solid arms that will compete and put away innings. The Wildcats’ weakness is hitting. Several of its top hitters graduated last year, leaving a young lineup. The Wildcats’ top returning players are Justice Brown, Luis Santiago and Brandon Bilnoski. Brown led Wiley College in hits (46), doubles (7), home runs (8), RBIs (32), total bases (79) and slugging percentage (.556). Santiago played in 34 games and hit .347 and drove in 19 runs. Bilnoski was the Wildcats’ ace last season. He went 3-6 with a 5.23 ERA. He tossed five complete games and struck out 75 batters. Wiley College expects freshmen Noah Whitted, Reis Calvin, Antonio Martinez and Justin Gibson to make an immediate impact. The Wildcats are looking to improve from a 9-39 season in 2017 and make the Red River Athletic Conference Tournament for the first time since 2014. 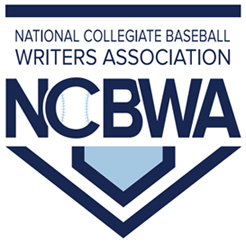 Winston-Salem State University fell one game short of reaching the NCAA Division II World Series after losing in the NCAA Atlantic Regional tournament championship to eventual national champions, West Chester University. The WSSU baseball team graduated three starters in their rotation, however its pitching staff will be very deep in 2018. With the additional of several transfers and young freshman arms, the strength of the 2018 team will be its bullpen depth. The Rams expect big seasons from pre-season All-Americans Seth Reeves (LHP) and Randy Norris (OF). Randy Norris, the top base stealer intake NCAA Division II returns for his senior season along with Brandon Ford, Emilio Abreu, Randal Otiz, John Garcia and Matt Mauldin. Key freshman include Luke Spiva (OF) and Wellington Guzman (SS),as well as pitchers Peyton Bennett, Tyrese Hearst and Matt Brown. The Rams seem to have rebuilt their roster for another run at reaching the NCAA D2 World Series. They are currently ranked in the Top 30 in the nation.